A lovely example of a solid oak 1930s hall Jacobean revival hall robe. 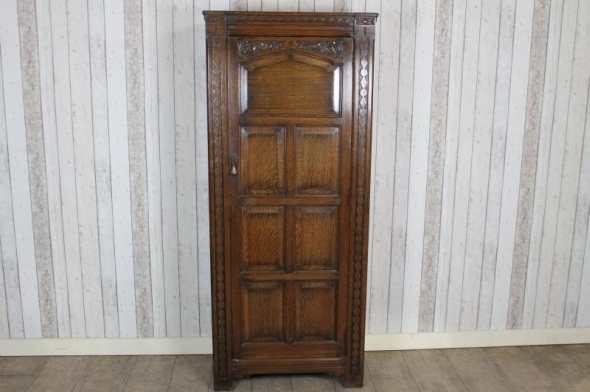 With carved decoration to front and raised and fielded panels, the wardrobe has a single door with a lovely fitted interior including small dressing mirror and stick stand. Ideal for any period property, the item is in lovely condition with just a small amount of wear and tear.